The 26 listed insurance companies on the floor of Nigerian Stock Exchange(NSE) have paid a monetary fines running into N100 million to the Exchange and the National Insurance Commission(NAICOM) for violating the financial account submission deadline in the last five years between 2012 to 2016 financial year, Sunday LEADERSHIP can exclusively reveal. While the listed insurers paid a sum of N75.3 million to the Exchange, they may have equally paid about N25 million to NAICOM as monetary sanction in the last five years, even as some of them were made to pay over N50 million to the Financial Reporting Council of Nigeria(FRC) for violating the International Financial Reporting Standard(IFRS). This is worrisome, despite the fact that most of the affected insurers have been unable to pay meaningful dividend or bonus to their shareholders within the same period. After paying huge fines to the regulatory authorities, the players in the insurance industry are left with little or no profit, hence, accounting for why most of these underwriters were unable to declare meaningful dividend or even bonus to their shareholders in the last five years. Market observers had linked the consistent payment of fines to different submission deadlines of the two regulators, the NSE and NAICOM, although that was not the only reason for abysmal performance of insurance stocks. NSE had set 31st of March as the deadline date for listed entities to submit their financial statements of the previous year, while failure to comply attracts monetary fines until the affected firm is able to submit the account. In the same vein, insurance companies are given till 30th of June by NAICOM to submit their accounts, failure to which attracts N5,000 each day after the deadline until the concerned firm submit the financial report to it for approval. Market analysts expect NAICOM to review its submission deadline to March ending to align with NSE submission deadline, especially, since listed insurers must get approval on their accounts from the commission before submitting the approved accounts to the Exchange. Speaking on this development, the Director-General, Nigerian Insurers Association(NIA), Mr. Sunday Thomas, in an exclusive interview with Sunday Leadership, noted that the operators and the commission are working on a way to ensure that the listed insurers meet the NSE deadline to avoid being sanctioned. On her part, the Managing Director, Nigeria Reinsurance Corporation, Lady Isioma Chukwuma, said the different account submission deadlines of NSE and NAICOM could partly be said to be responsible for such huge monetary sanctions. She said NAICOM deadline ought to come first before NSE so that companies could have their accounts approved first by NAICOM before submission to NSE. “What I can suggest to avoid delays in approval and resultant payment of penalties is that companies should commence the audit of their accounts early enough. It also helps if interim audits are carried out as they facilitate the audit of the Year End Account,” she advised. Asked whether the commission is considering reviewing the account submission deadline, NAICOM’s Spokesperson, Mr. Rasaaq Salami, said the June financial account submission deadline is as prescribed in insurance regulation, adding that the status quo still remains the same. “What does the law says. The law stipulates that insurance firms should submit their financial account on or before June 30, while failure to do attracts sanction. So, NAICOM cannot change that,” he added. While the shareholders continue to blame the regulators for the reason why their respective companies could not pay dividend, the regulators, on the other hand, trade the blame on the erring firms who have refused to adhere to the deadlines given to them for submission of their accounts. The shareholders, who expressed their grievances at the 2015 Annual General Meetings(AGMs) of the underwriting firms, were unhappy that their companies had to cough out several millions of Naira as monetary fines to the regulators, thus, clipping the wings of the companies to pay meaningful dividend or bonus, while some had their accounts in negative as a result of the huge fines. The shareholders, however, called on the concerned underwriting firms, to work closely with NIA to make their grievances known to these regulators. Mr. Robert Igwe, a shareholder said regulators, especially, NAICOM, should try to be considerate in meting out punishment to insurance companies, noting that the current regime of sanctions is depriving insurance companies of income to pay the shareholders dividend or bonus. Operators, through NIA, he said, should try to comply with regulations to avoid sanctions, stating that insurers should liaise with regulatory authorities, to so see whether waivers could be granted to them, should in case there is tangible reason for late submission of accounts. During the five years period, Great Nigeria Insurance(GNI) Plc had the highest penalty amounting to the sum of N16.9 million for default in filing its December 2013 and 2014 results as well as first, second and third quarter results for 2015. African Alliance Insurance was next with a penalty amounting to N10.7 million for default in filing its December 2014, first, second and third quarter 2015 results. Guinea insurance was also penalized with a fine totalling N10.7 million for defaults in filings it’s December 2015, first, second and third quarter 2016 results. Cornerstone Insurance get sanctioned for N700,000 for default in filing December 2015, while Equity Assurance got fined with N200,000 and N500,000 for late submission of its December 2015 and first quarter result. 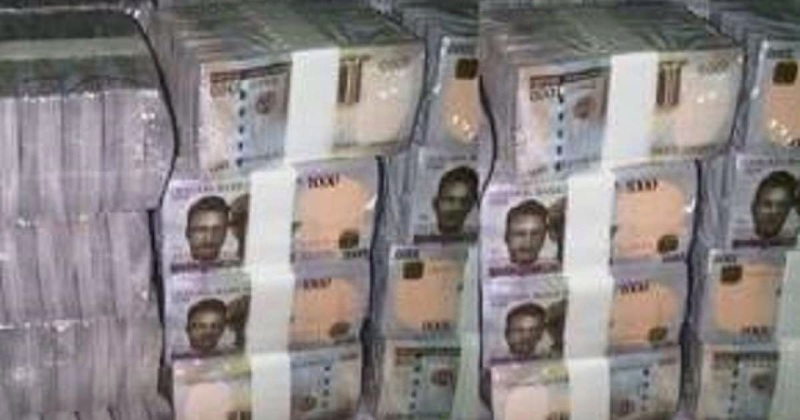 Sovereign Trust Assurance, Staco Insurance and Standard Alliance Insurance were fined N500,000, N200,000 and N500,000 respectively for December 2015. Mutual Benefit Assurance got a N3.8 million penalty for default in filing December 2013 and 2014 as well as Half year 2015 results, Lasaco Assurance was levied N400,000 and Equity Assurance N600,000. Other companies charged are Guinea Insurance billed a total of N7.6 million for first, second, third quarter 2015 and December 2014 results, NEM Insurance N1.3 million and Regency Assurance N700,000. Likewise, in 2013, Staco Insurance got N700,000, Niger Insurance N700,000, Linkage Assurance N900,000, Standard Alliance Insurance N2.9 million, Equity Assurance N600,000, Continental Reinsurance N900,000, AIICO Insurance N800,000, Oasis Insurance N700,000, Wapic Insurance N700,000, Regency Insurance N600,000 and Law Union N600,000. In 2012, International Energy Insurance and Sovereign Trust assurance got a fine of N5.4 million and N1 million, respectively. I definitely wanted to jot down a quick message so as to say thanks to you for the fantastic information you are placing at this site. My considerable internet look up has at the end been rewarded with reasonable facts and techniques to share with my friends and classmates. I ‘d repeat that we readers are unquestionably endowed to dwell in a remarkable place with so many wonderful people with valuable pointers. I feel very much fortunate to have seen your entire webpages and look forward to really more cool moments reading here. Thanks once more for a lot of things.